Forum Index > Off-topic Talk > Happy birthday, Nathan Robinson! Posted: Sat 06 Jun, 2009 8:16 pm Post subject: Happy birthday, Nathan Robinson! It's a tad early (45 minutes in my time zone), but Sunday is the birthday of myArmoury founder, guru, admin, and chief cat-herder Nathan Robinson. He's also a good friend of mine and I wanted to take this chance to wish him the best, with many, many happy returns. a big ol' HAPPY BIRTHDAY Nathan. May it be the best! Well, another birthday! Time sure flies doesn't it. Happy birthday Nathan and all my best wishes. All the best Nathan!!! Have a great day with many many more to follow. I hoist a tall and frothy one in your honor tomorrow night. On the odd occasion when I have needed an image, Nathan has always been very helpful. Here's hoping your birthday wish comes true! Happy Birthday! Ah, I've been preempted by Chad, pulling the trigger early. Regardless, happy birthday Nathan! I hope you get a chance to relax and enjoy it. Happy Bday my friend. Have a great day. All the best Nathan. Hope your birthday is filled with good cheer and good friends. Happy Birthday Nathan. All the best. Happy Birthday! May it be a good one for you! 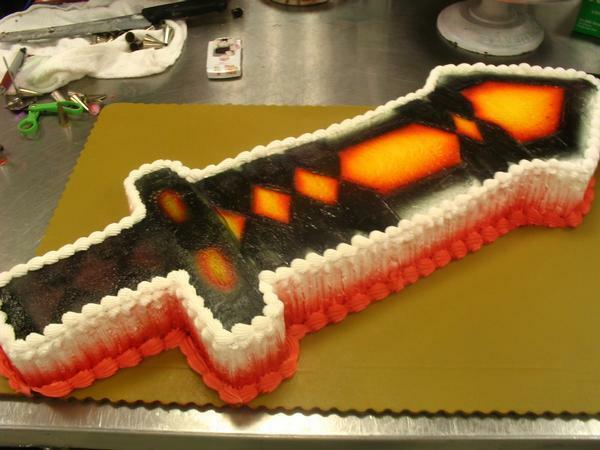 Nathan, I hope someone gives you a sword for your birthday. For this mighty resource you've created, for all you do for this little, global community, you have my gratitude, and my wishes for a very happy birthday. Happy Brithday to Nathan! Though in my timezone it must have already passed. :P A belated happy birthday then.